Permanent appointment of Prime Minister as Defense Minister approved by a majority of three votes. Opposition criticizes. The Knesset approved on Monday evening the permanent appointment of Prime Minister Binyamin Netanyahu as Defense Minister. 59 Knesset members voted in favor of the appointment and 56 voted against. In addition to the defense portfolio, the Prime Minister also holds the Foreign, Health and Ministry of Aliyah and Integration portfolios. Netanyahu has said that he will appoint an Aliyah and Integration Minister next week and a Foreign Minister next month. The opposition sharply criticized Netanyahu during the discussion on the appointment. Opposition leader MK Tzipi Livni said that "the problem is not the proliferation of portfolios, but the lack of policy, and the personal and political weakness of the prime minister." 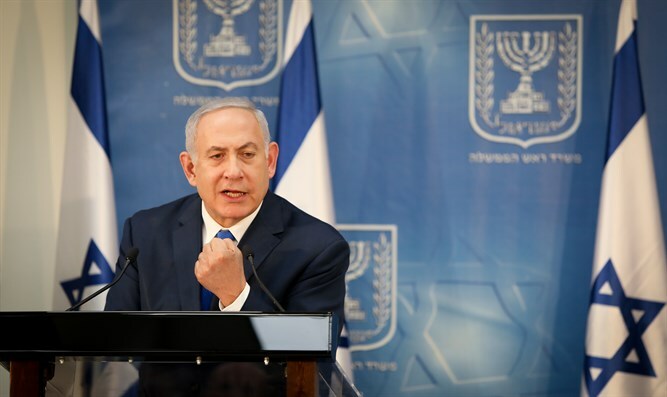 "Netanyahu used to be Mr. Security, wrote a book that I agree with every word written there, but the promise has expired and the reality has become clear, and instead of a book about how to fight terrorism there are suitcases of money that are passed to a terror organization. The big problem is his political weakness and that's what frightening in giving him the defense portfolio. Hamas, together with the political capitulation to the extremists, is all the opposite of security," Livni added. MK Merav Michaeli (Zionist Union) said, "How pathetic. The man who calls himself Mr. Security and is unable to bring security wants to be the Defense Minister. The man who, after 10 years in office, has perhaps the least security in Israel that we’ve had here for a very long time." "The southern front is tense, Judea and Samaria are tense, the Iranians are in the north, the tension with Hezbollah, and even the peace agreement with Jordan - there is a little talk about canceling the lease agreement on territories, but Netanyahu wants to be Defense Minister," added Michaeli. "In his first month as Defense Minister, first of all we lost our deterrence in Gaza, Yahya Sinwar is doing victory shows in the streets, there is a wave of terror attacks in Judea and Samaria at a level we do not remember for a long time. In the north he mainly held superfluous press conferences. In addition to that, yesterday half of his government, including cabinet members, demonstrated against his security policy. That's what happened a month into his tenure. The State of Israel cannot allow itself for him to remain its Defense Minister," Lapid concluded.